The offering in Hair services is unmatchable- from simple hair cuts to stylized cuts and color using the latest fashion colors. VLCC offers an array of treatments to maintain the luscious locks. VLCC makeup for all occasions. Weddings in India are a big reason for celebrations- across states. 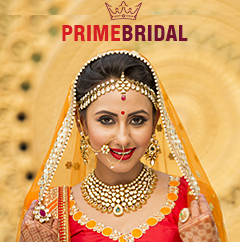 The young brides-to-be want to look their best on their weddings, which are larger than life celebrations. Today’s Indian Bridal looks are the result of a great transition. Contemporary brides are more open to experimentation with new and unique looks that often make them stand out and look stunning! The classic look is still very popular but the newer trends are catching on and making a wave! VLCC is equipped with knowledge and trained staff to adhere to all kinds of makeup looks as per the latest trends. We have curated makeup styles to suit all needs- Contemporary or Traditional looks. VLCC Aesthetic Dermatology is a uniquely designed dermatology practice, setting a standard for cosmetic dermatology. We offer expertise in cosmetic procedures that are non surgical and minimally invasive. And we believe in the procedures and products we offer. What we do, works! Family Members/ Friends with whom the Primary Holder of the Membership wants to share benefits must be registered at VLCC by the primary holder of the VLCC Prime Membership. Services can be availed against this membership for 1 Year from the date of purchase, as mentioned on the card/ bill at the time of Purchase. Extension of this membership will be at the Sole Discretion of VLCC. This card cannot be clubbed with any ongoing offers, promotions or discounts. Cashback/loyalty points cannot be redeemed while availing the benefits of this card. This Membership cannot be clubbed with any ongoing offers, promotions or discounts. Cashback / loyalty points cannot be redeemed while availing the benefits of this membership. Family Members/Friends with whom the Primary Holder of the Membership wants to share benefits must be registered at VLCC by the primary holder of the VLCC Prime Membership. Cashback/loyalty points cannot be redeemed while availing the benefits of this membership. 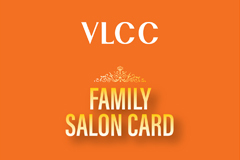 Family Members/ Friends with whom the Primary Holder of the Membership wants to share benefits must be registered at VLCC by the primary holder of the VLCC Family Salon Card. Services can be availed against this membership for 1 Year from the date of purchase, as mentioned on the card/ bill at the time of Purchase. Extension of this membership will be at the Sole Discretion of VLCC. Cashback / loyalty points cannot be redeemed while availing the benefits of this card. Only 1 offer can be purchased per client. No client can avail 2 offers even on different Client ID’s/ Phone Numbers. Limited Period Offer, till stocks last. Applicable in Company outlets only. Redemption of this purchase/ service has to be done on or before 15th October, 2018. This validity is not extendable and extension of the validity, if in any case, will be at the Sole Discretion of VLCC. This purchase cannot be redeemed for Cash. This offer cannot be clubbed with any ongoing offers, promotions or discounts. Cashback / loyalty points cannot be redeemed to make this purchase. 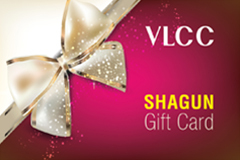 Loot Deals can be redeemed at VLCC Wellness centers (Company owned centers) on weekdays only. Deal cannot be purchased/ redeemed by employees. This is a Limited offer and VLCC reserves the right to cancel your order. Refund for the same will be processed within 7 working days. Deal can be redeemed only at the centre which has been chosen at the time of purchase of the deal. It is not transferable to any other centre for redemption. Deal not applicable for VLCC Channel Partners and associates.